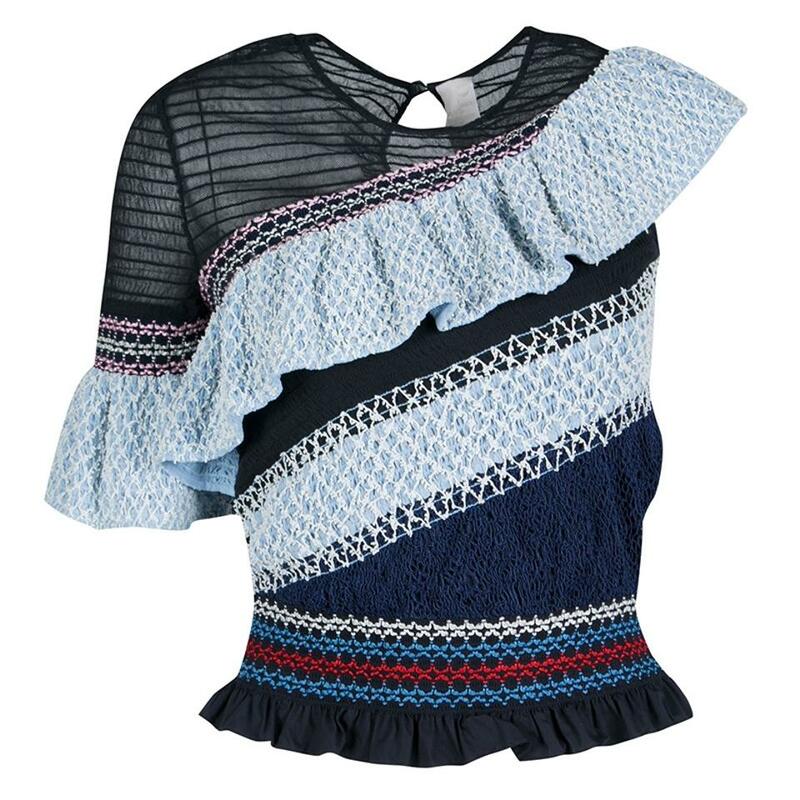 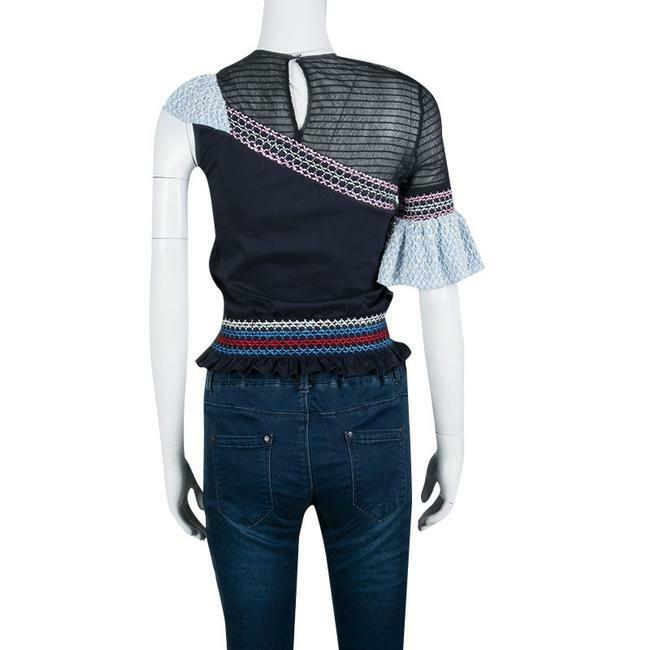 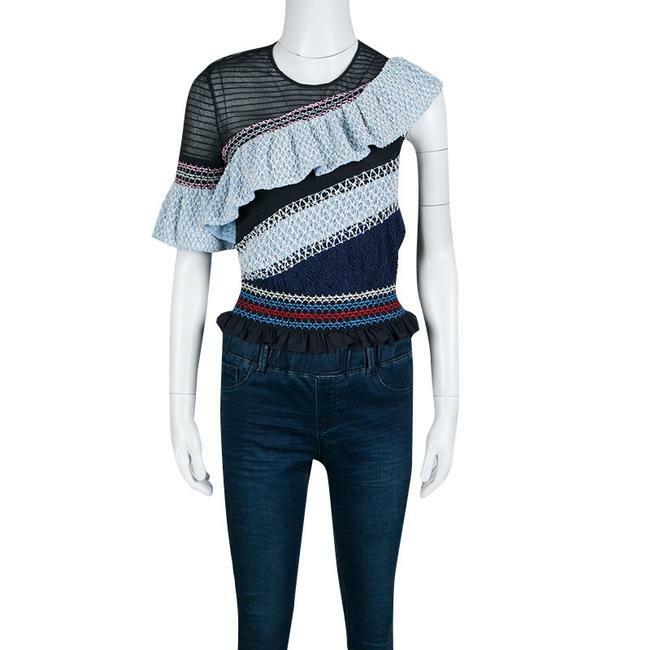 Peter Pilotto is known for their vibrant use of colors and playful designs, and this Octave top is crafted in true label's style. 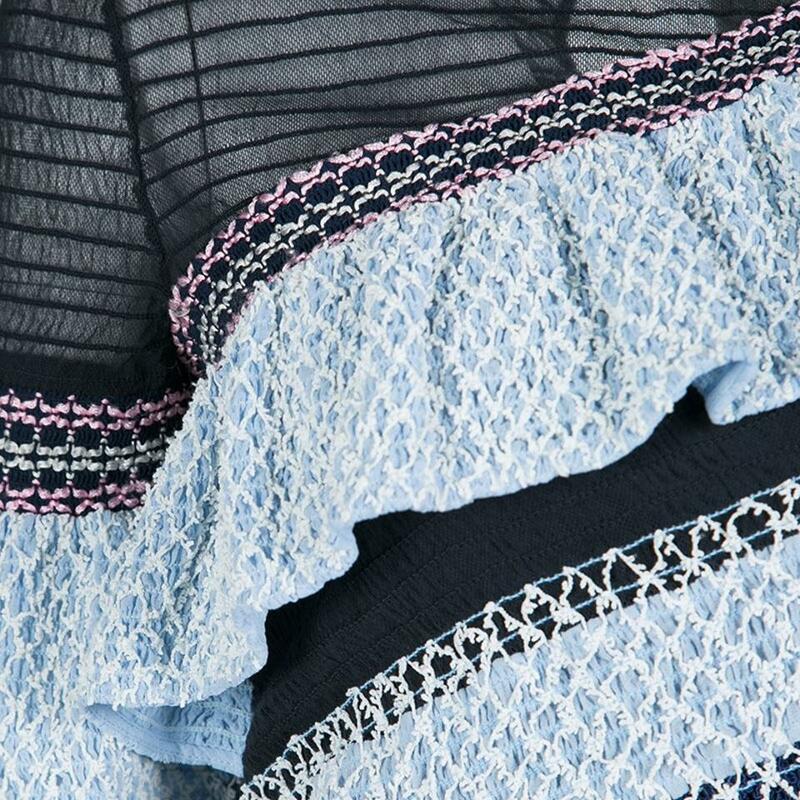 Cut from silk and cotton, the top is fashioned in one shoulder style and features beautiful ruffle detail and smocked pattern. 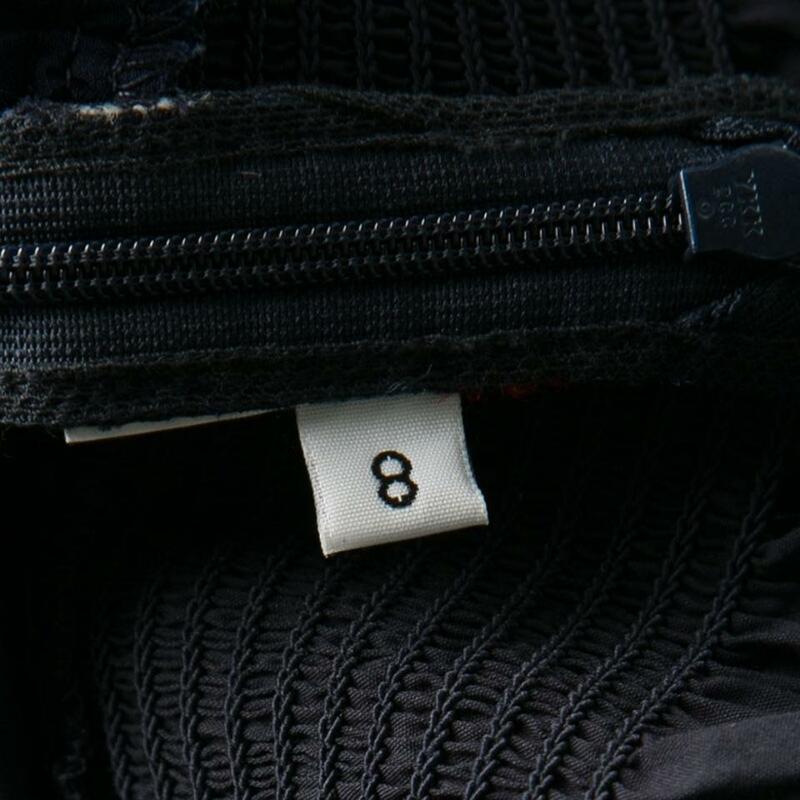 It will look best with wide leg pants and block heel sandals.